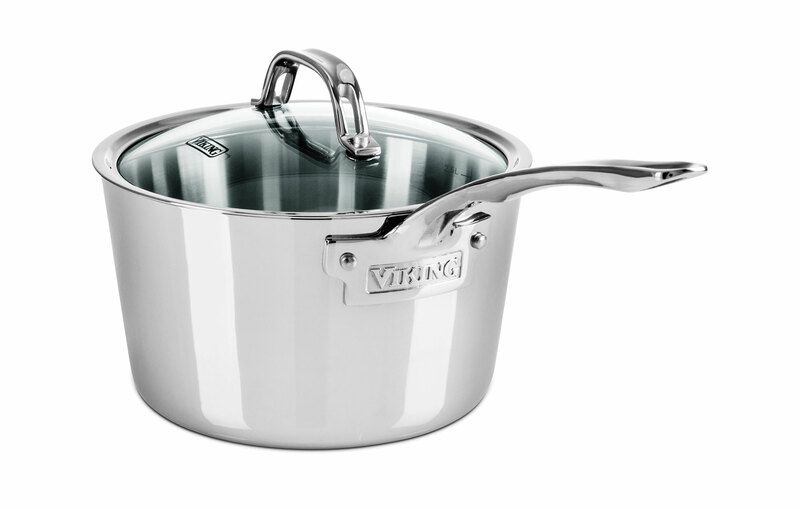 This Viking Contemporary Tri-Ply Stainless Steel Cookware Set includes a 8 and 10-inch Skillet, 2.4 and 3.2-qt. 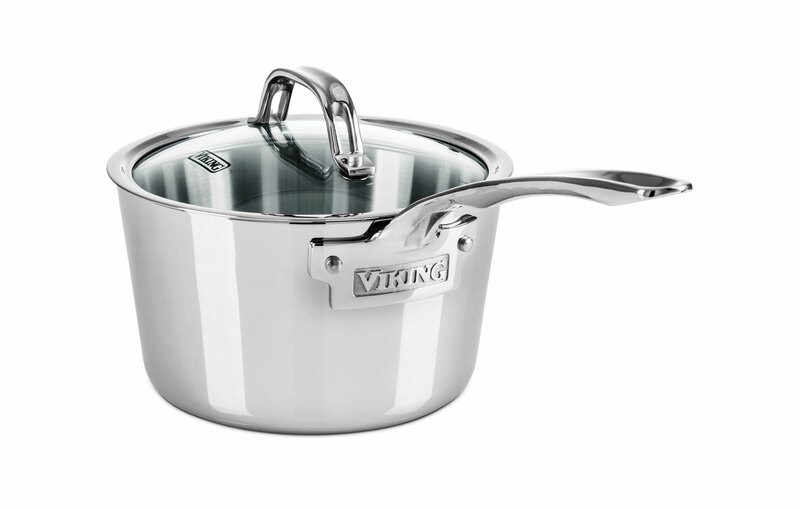 Saucepan with Glass Lid, 3.6-qt. 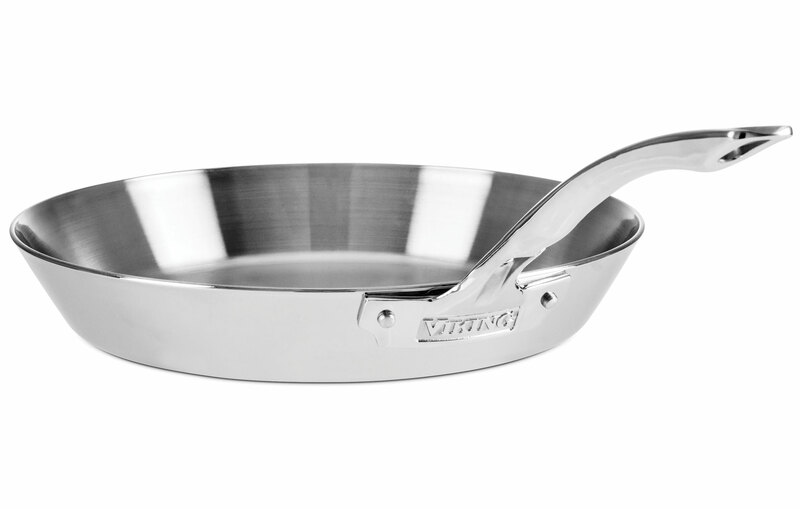 Saute Pan with Glass Lid and 5.2-qt. Dutch Oven with Glass Lid. 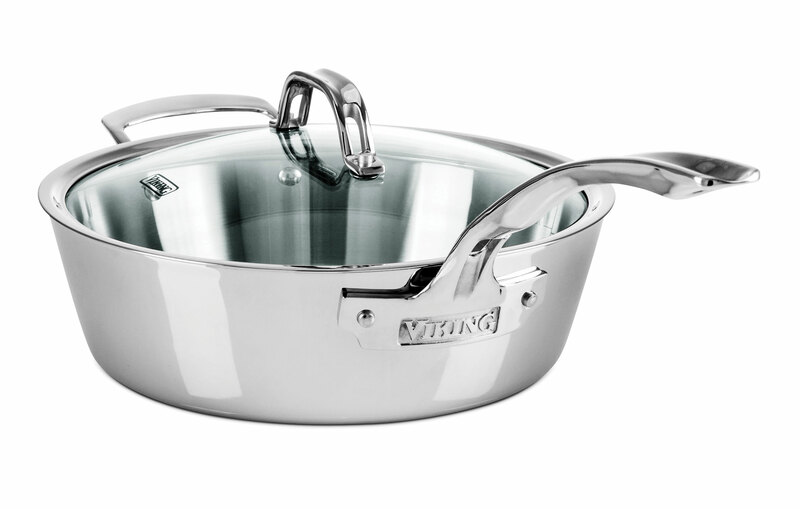 Viking Contemporary Tri-Ply Stainless Steel Cookware combines a layer of aluminum sandwiched between heavy-gauge stainless steel for superior performance. The aluminum core provides exceptional heat transfer throughout the pans, while the magnetic stainless steel exterior gives the pans durability and makes them induction capable. 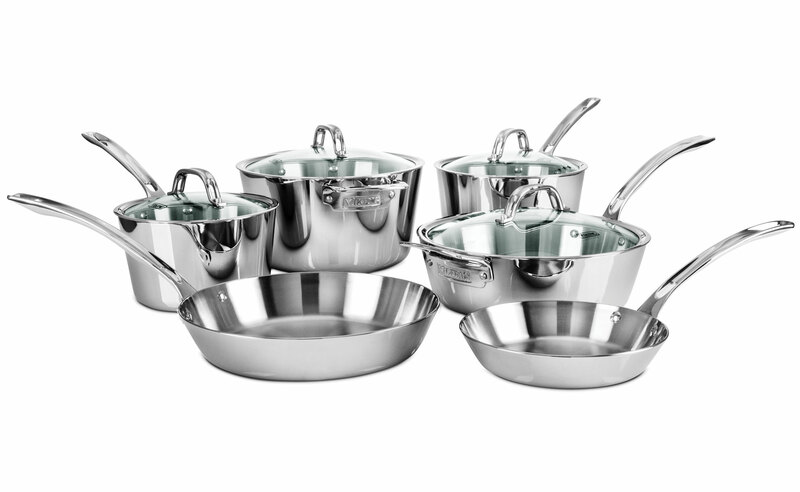 Features seamless rims, the vented glass lids allow to easily see the progress of your meal while reducing the chance of boil-overs. 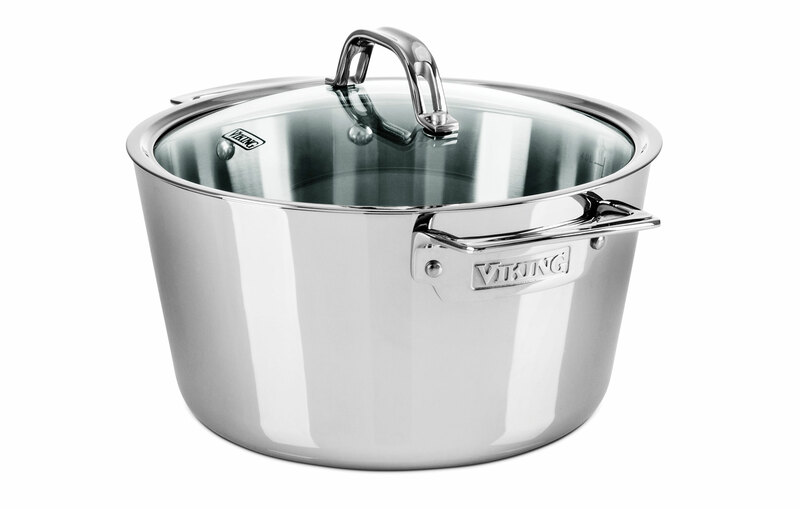 Viking Contemporary cookware combines a fashionable conic shape with signature stay-cool handles and easy to read internal measurements. 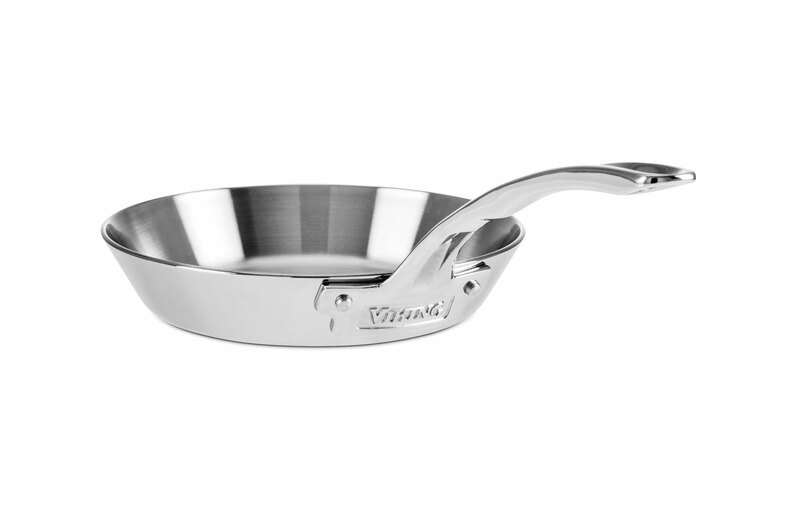 The thick aluminum core is the key ingredient for even heat throughout pan. The conic shape allows for easy access to turn ingredients and enhances evaporation for faster reduction.